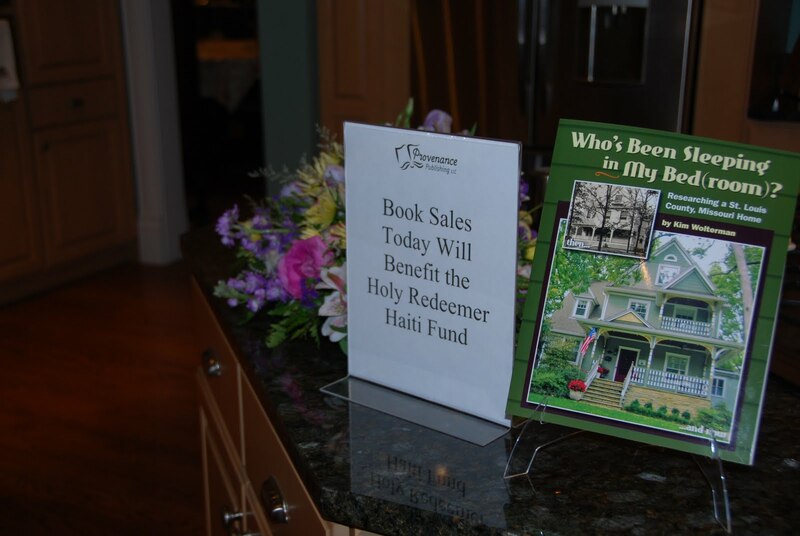 On Sunday we opened our home up for the Webster Groves House and Garden Tour, benefiting Haiti. In the write-up about our house it mentioned that I would be signing copies of "Who's Been Sleeping in My Bed(room)? 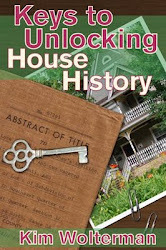 Researching a St. Louis County, Missouri Home", with a portion of the sales being donated to the Haiti Fund. Having co-chaired house tours in the past, I know that most people on the tour are simply interested in the houses, not purchasing items. In fact, most don't even carry any money on them. I wasn't really expecting to sell any books, but exposure is always good so I propped a book on its stand and took my position in the kitchen to answer any questions the tour-goers might have. Imagine my surprise when an elderly lady rounded the corner and headed right for the book. "THIS is why I came on the tour! ", she exclaimed. "I want to buy this book!" Wow - heady words for an author. We talked about the house she lives in and her desire to find out who the previous owners were. Another man stopped to tell me that he had purchased my book at the local bookstore, and he thought it contained a lot of useful information. 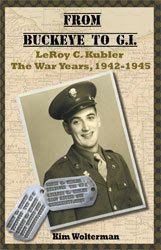 In the end, I sold four books and another lady from the tour stopped by my house today to buy the book for her dad as part of his Father's Day present. So five books sold plus numerous people who flipped through it while on the tour. What an added bonus to all the awesome compliments we received on our house and gardens. You can sell your books in your own backyard - literally!